Intel's flagship Core processor series has had three performance tiers: i3, i5, and the i7. 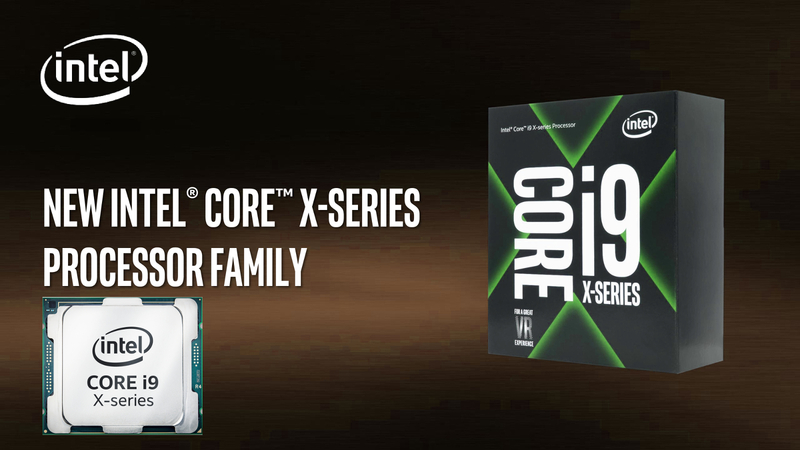 But after several disappointingly small performance and rising to the challenge with AMD, Intel announced a new family of "Core X" desktop processors Core i9. The i9 series is boosting the total core and thread count over all of Intel's previous consumer-grade processors. The Core X platform is being targeted squarely at enthusiast customers like gamers and content creators people who want to be able to run the latest games at the best possible resolution while streaming footage and running a chat with viewers or have four different creative tools open at once to put together a new vlog. The more cores and threads a single CPU contains, the more dedicated tasks it can manage simultaneously without sacrificing performance. The i9-7900X has 10 cores and 20 threads, with the bigger and better upgrades in the i9-7920X, i9-7940X, i9-7960X, and i9-7980XE processors offering 12, 14, 16, and 18 cores, respectively. The i9 series also supports quad-channel DDR4 memory at speeds of up to 2666mHz, considerably faster than the previous. The i9-7900X uses a base clock of 3.3GHz with Intel’s Turbo Boost 3.0 bumping it up to 4.5GHz under ideal conditions and that's before any kind of end-user overclocking. All of the new chips will require a new 2066-pin processor socket, and with power consumption at a massive 140 watts or more, a liquid-cooled thermal setup will be almost certainly compulsory. In addition to the new high-end Core X family, Intel also had a brief update on the still forthcoming eighth-generation line of mainstream Intel chips, rumored to be codenamed Coffee Lake. While early reports from the company promised a 15 percent improvement over the current seventh-generation Kaby Lake line. Today, most PC owners won’t be able to take full advantage of an 18-core, 36-thread behemoth. But that’s not really the point. Core X exists less for the present than it does for the future, one in which "extreme" becomes normal, because there’s nothing else left.